There are several other waterfalls are on the island but some are on private property, which we cannot disclose here. You'll need to hop on a boat to see these remote waterfalls, but the adventure is well worth it! Otherwise it's a long hike for the experienced bushwalker. 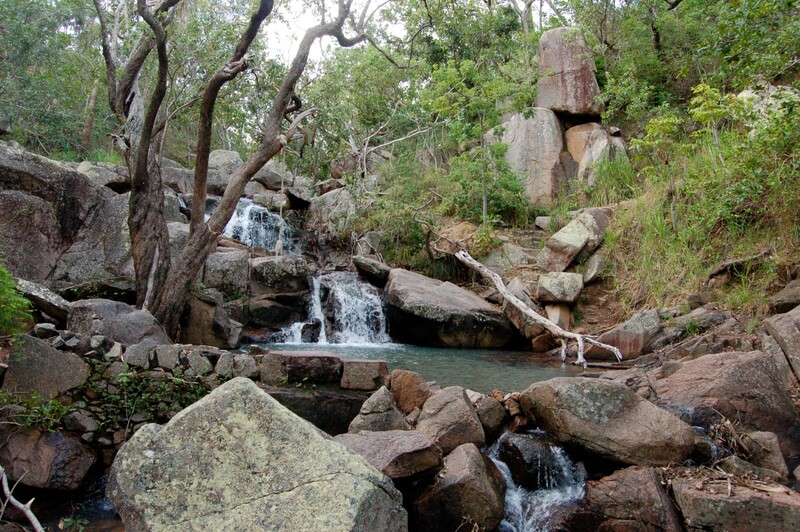 The most popular and considered Maggie's most accessible waterfall is Endeavour Falls in Arcadia (Petersen Creek). Endeavour Falls are just off Endeavour Rd, Arcadia. 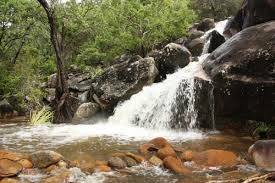 You walk around the gate and follow the road up the hill, you should hear water flowing, off to the left there is an unmarked bush track which leads down to the creek and it's falls. It's only about 50 metres off the sealed road, but it's pretty steep getting down. 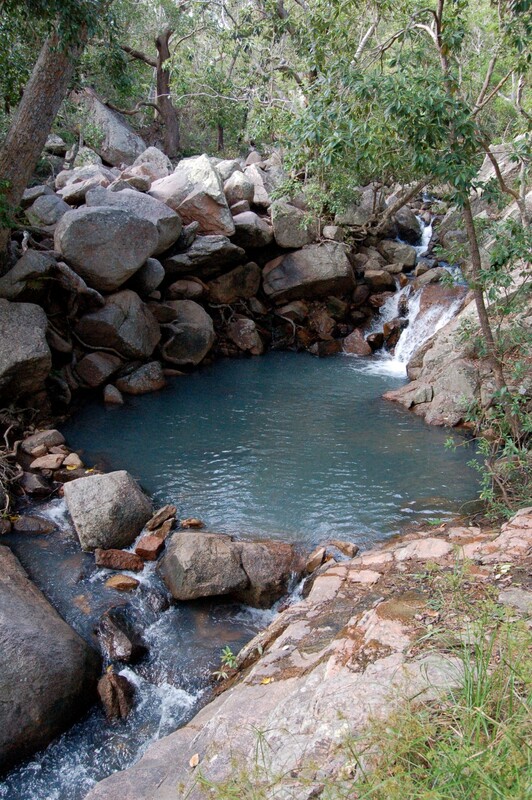 Rock pools and the refreshing flow of sparkling, cool water are a popular stop for families and friends. There is a lower and an upper waterfall. of the Endeavour Falls rock pool. 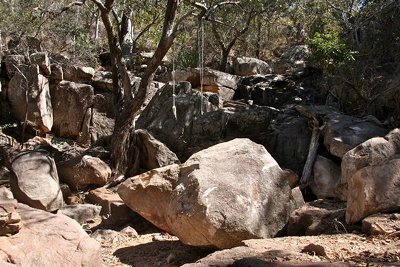 A dirt track near a old shed, on the West Point Road past the Cockle Bay Road entrance, signals the entrance to this small rock pool and waterfall at Cockle Creek. 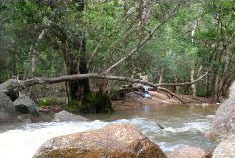 Gustav Creek in Nelly Bay has always been a favourite for local kids. 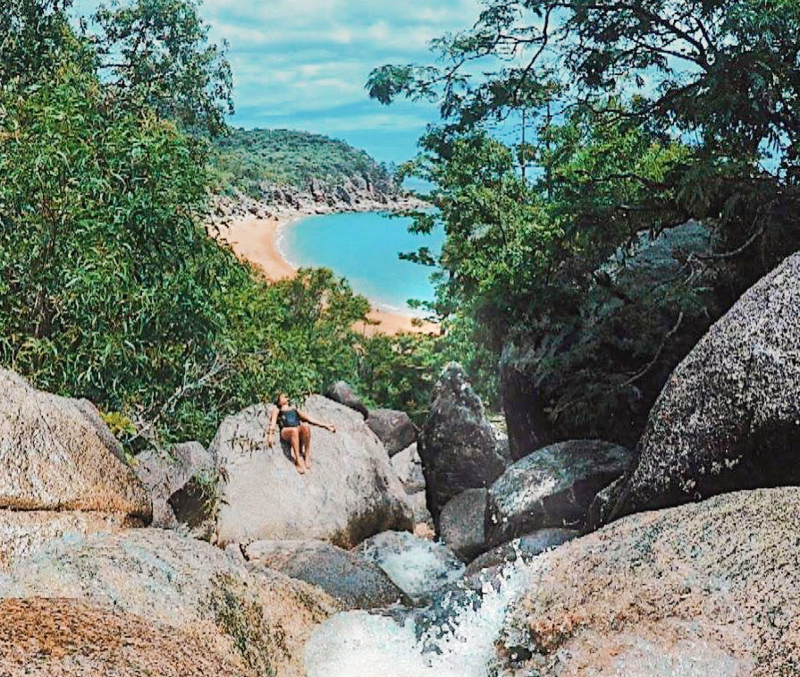 Arthur Bay Waterfall, Magnetic Island. After 350mm rain Jan 2013 as ex-TC Oswald passed west of the island. To retain a pristine environment for others to enjoy, please take any rubbish with you once you leave. Leave no trace; take only photos and leave only footprints. Have fun but please be aware that after a heavy rain, these watercourses can be quite dangerous and can swell quickly due to their catchment area.